The Oklahoma Corporation Commission will hold a regular meeting on Thursday to consider at least three proposed orders. One is the application of ATT Corp for funding from the Oklahoma Universal Service Fund for the Altus Public schools. The final order is to approve the funding per Cause No. PUD 201400343. Cause No. PUD 201500205 is a request by BTC Broadband, Inc. from the Oklahoma Universal Fund for special services provided to Osage Hills School District 3. The third order, Cause No. 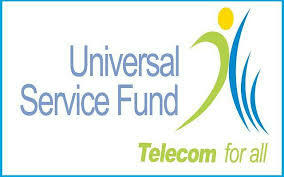 PUD 201600147 is ATT’s request for funds from the Universal Service Fund for special services for the Central Oklahoma Family Medical Center in Konawa. The meeting starts at 9:30 a.m. in room 301 of the Jim Thorpe Building at the Capitol. To view the entire Commission agenda, click here.